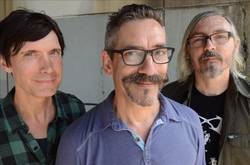 Fresh off releaseing What You've Heard Isn't Real in 2018, Porcupine have announced two tours. One, currently in progress, beings in Minnesota and runs through the Midwest through early March, followed by additional dates in support of Flesh Eaters, running March 11-17. Dates are below. What You've Heard Isn't Real was released by DC-Jam and Dead Broke Rekerds.